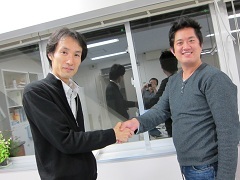 [News] Noritada Kaji Group Leader of Engineering Technology left our project. Noritada Kaji Group Leader of Engineering Technology left our project on October 31. He started his new carrier at Dept. of Biomedical Chemistry, Grad. Sch. of Engineering, Nagoya University as Associate Professor from November 1st.